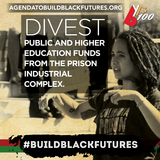 You may receive updates from BYP100, the sponsor of this form. You may receive updates from Asha Rosa, the creator of this form. Get regular updates about our #SayHerName Week of Action.